RoboxDual is an update to the original Robox and includes a Dual Material Head, 2 extruders and the ability to print in 2 materials at once. 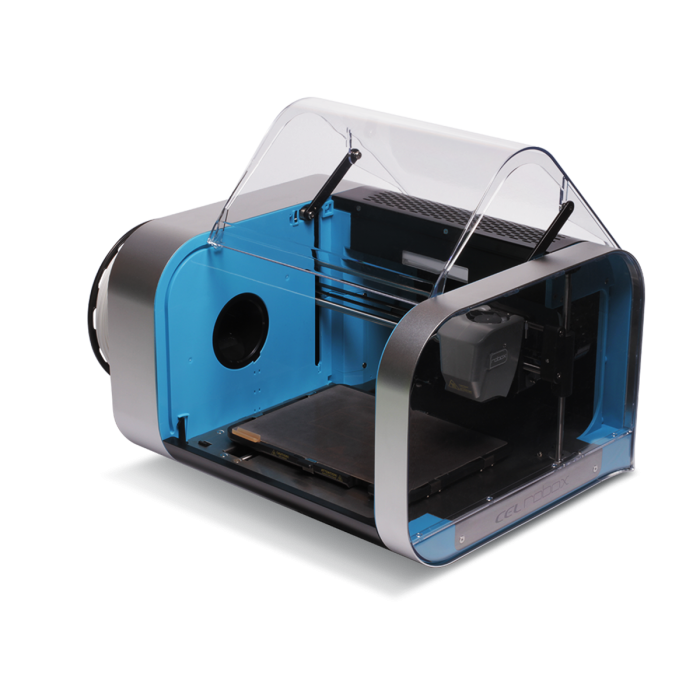 On desk prototyping, simple 3 step workflow, plug and print. 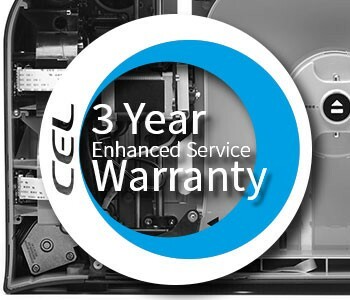 Increased productivity will be easy to prove. Dual material printing does not need a big investment or extra staff to run it. 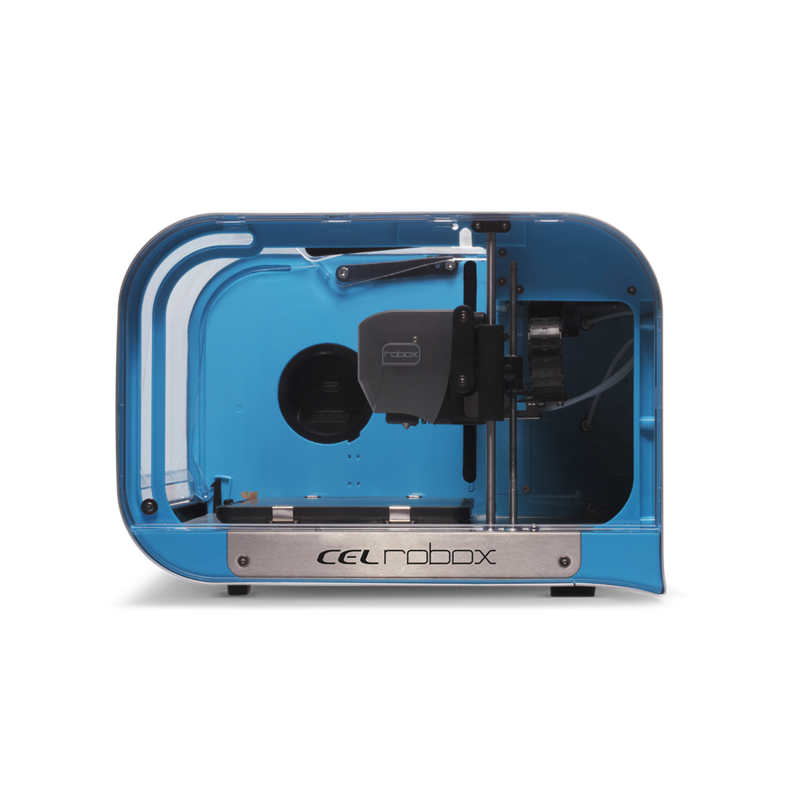 Try one Robox and you will soon invest in many more, the price of Robox allows every engineer to have one on their desk. 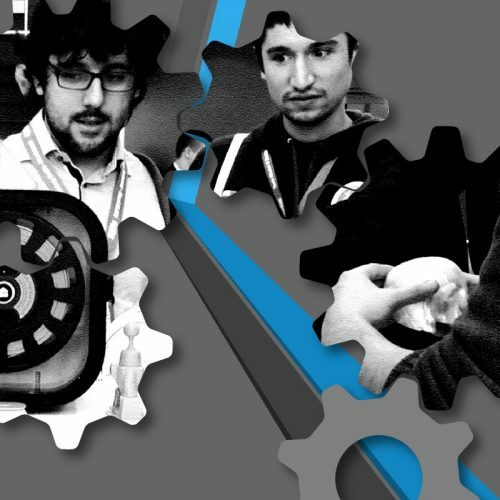 Robox will soon be your favourite tool, it is easy to use due to good design. 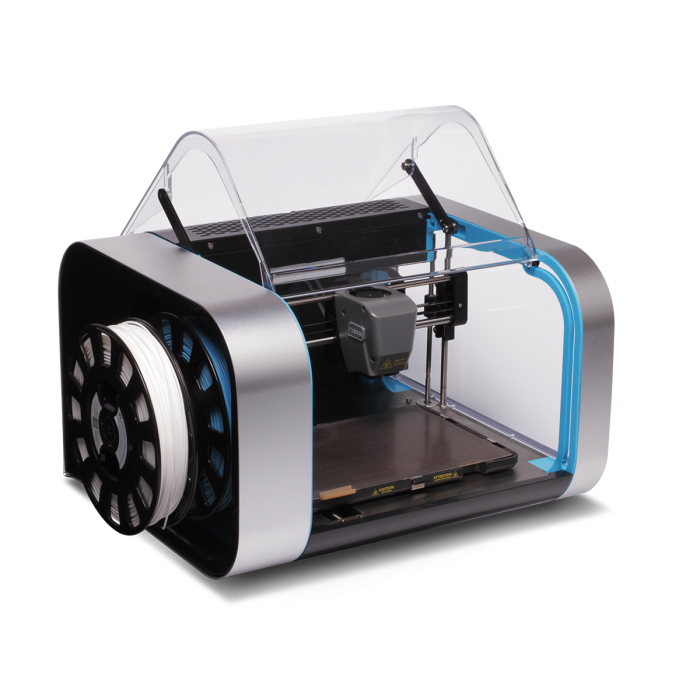 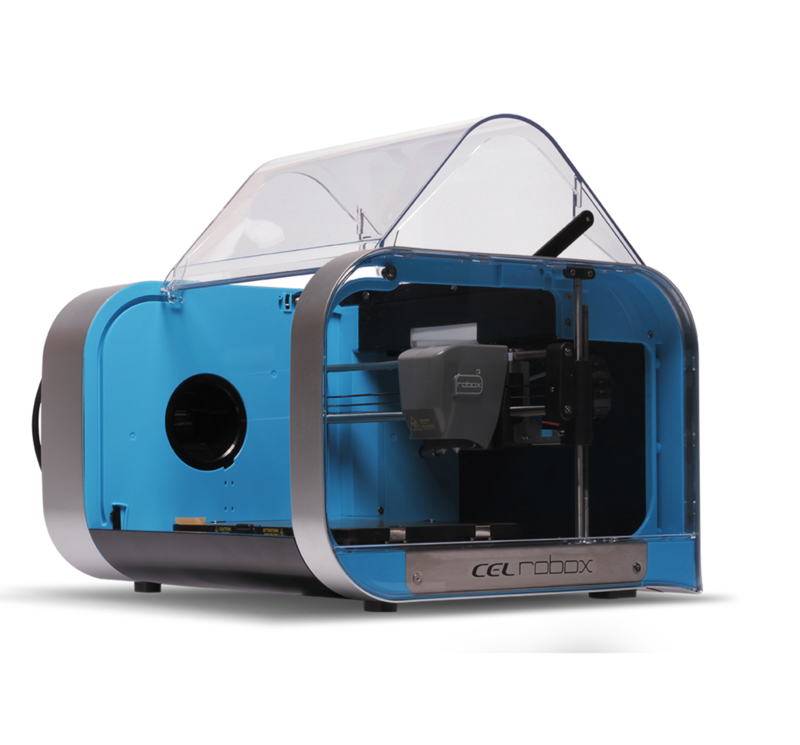 This design does not limit its potential, it leaves you as a user able to spend more time creating and less time scratching your head wondering what the printer is doing. 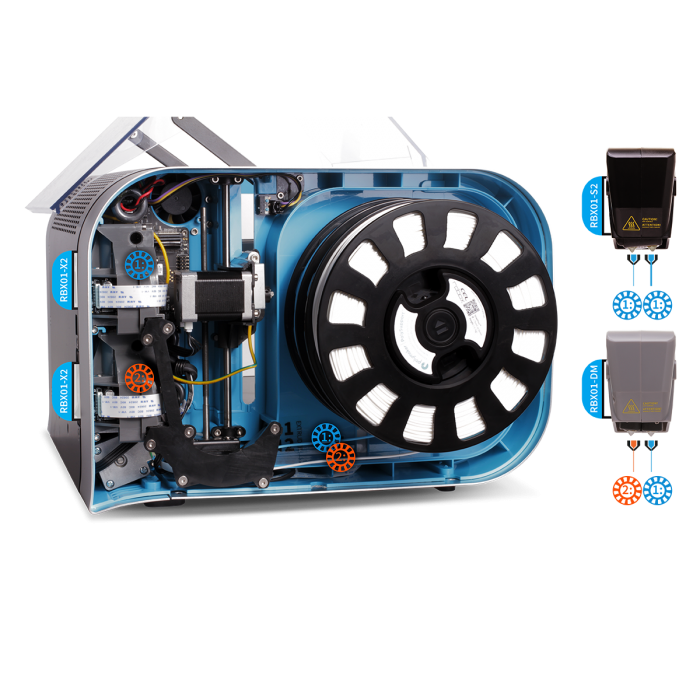 Start your 3D print experience with a successful print, not a soldering iron. 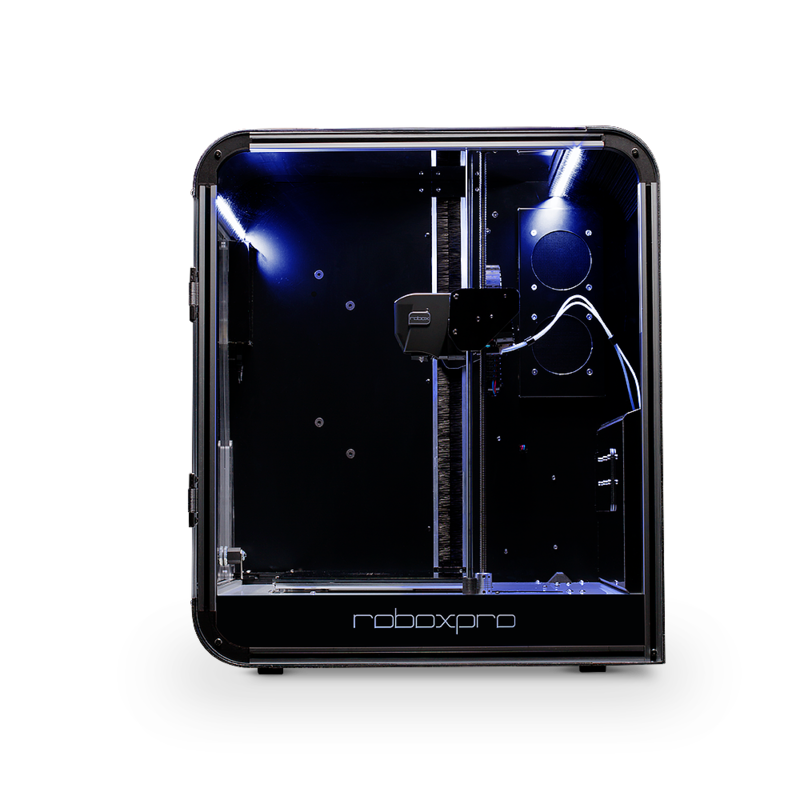 You may have tried the best of the rest, the kit printers, the well known competition of Robox, all of them are using the same technologies. Some do it well, some have good features but none of them have true innovation. 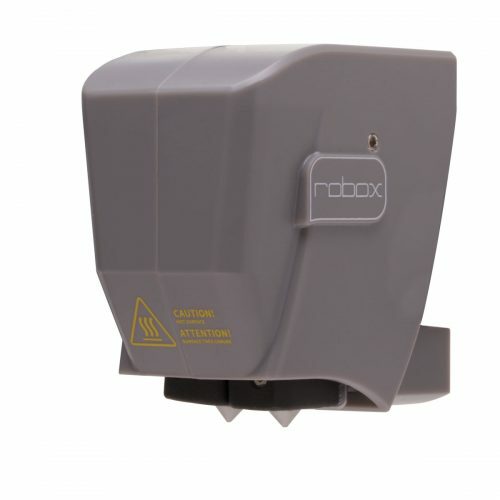 Robox nozzles close, this is unique to Robox. Ooze, stringing, retracts, you know these terms, they don’t apply to Robox. Viscous materials will not leak out, dual material printing will not waste material and time doing purges, wipe towers or heating/cooling operations. 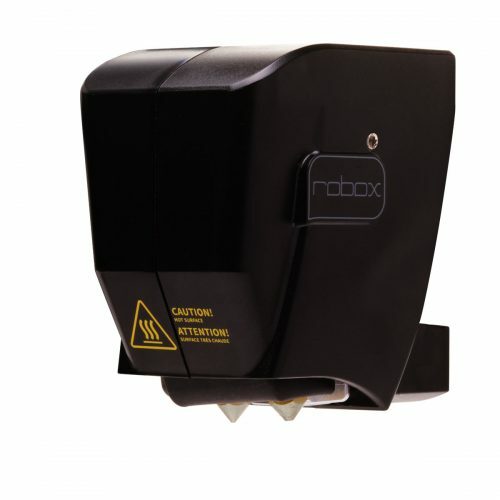 Robox nozzles lift out of the way when not in use, they don’t drag across the print or get stored away to dribble in the corner. 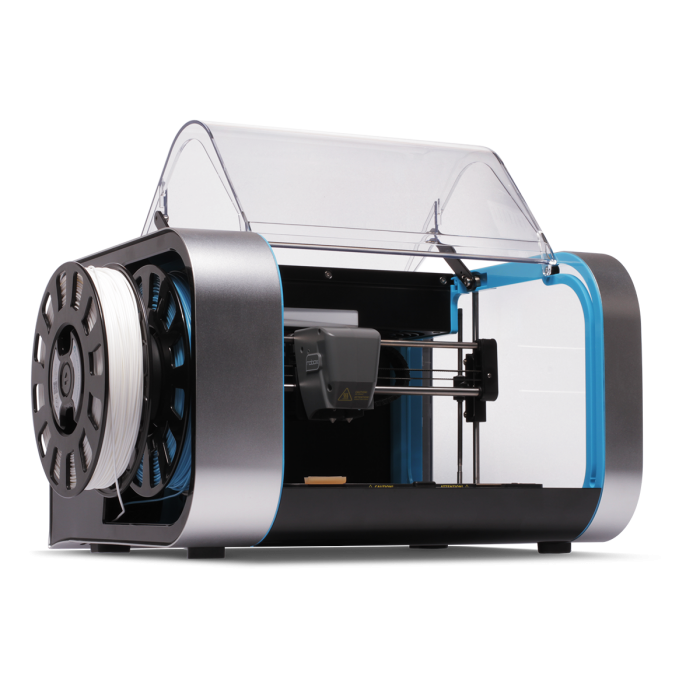 Robox changing materials during a print: Close>Change>Open>Extrude, it happens in less time than it takes to read those 4 words. 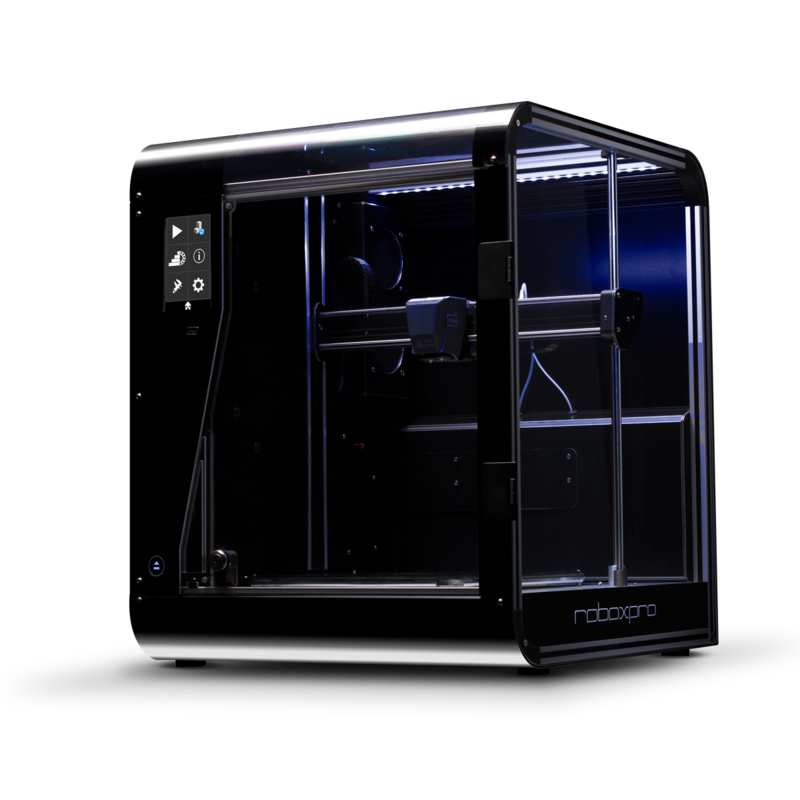 Robox is more than just a 3D printer, it is a micro-manufacturing platform. 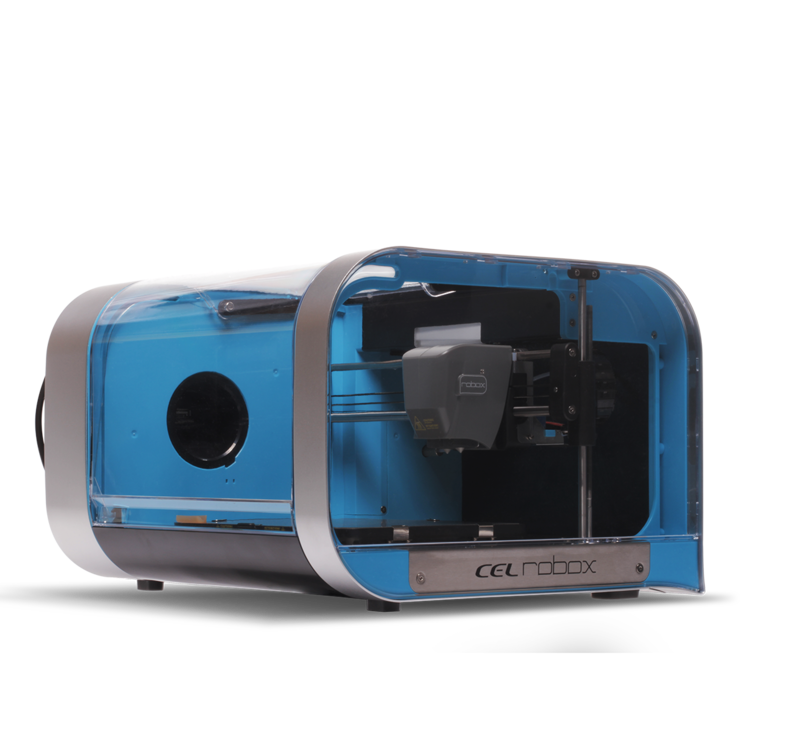 The precise positioning of the 3 axis system along with the mechanical and electronic design of the HeadLock system provides a robust framework on which to build a range of manipulators and scanning devices to allow this robot in a box to do much more than just create beautiful 3D prints.